Topps MasterVisions. Collector Cards. Premiere Edition. One Complete Set. Thirty Monumental 6-1/2" x 10-3/16" Art Cards. 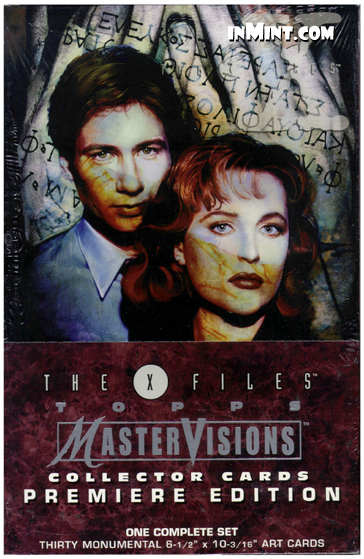 A complete set of 30 fully-painted masterpieces inspired by THE X-FILES television series and presented in a new, monumental 6-1/2" x 10-3/16" card format!